Your immediate family members including your spouse and children under 18 can also be included in your application, as well as dependent relatives. The Mauritius investment residency program grants permanent resident status to you and your family members included in your application. 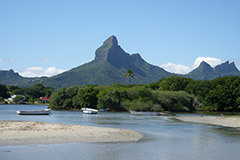 You will be able to acquire Mauritian citizenship after just 2 years of residency. There is no requirement to reside in the country after receiving your RP. Your permanent resident status grants you the right to enter and re-enter the country any number of times. After just 2 years, you can acquire a Mauritian passport, which will give you visa free access to the Schengen zone in Europe. You will be required to make a minimum investment of USD 500,000 in a qualifying business activity or in the permanent resident investment fund. Please bear in mind that you will also be required to make an interest-free deposit of USD 100,000 for each dependent adult included in your application.